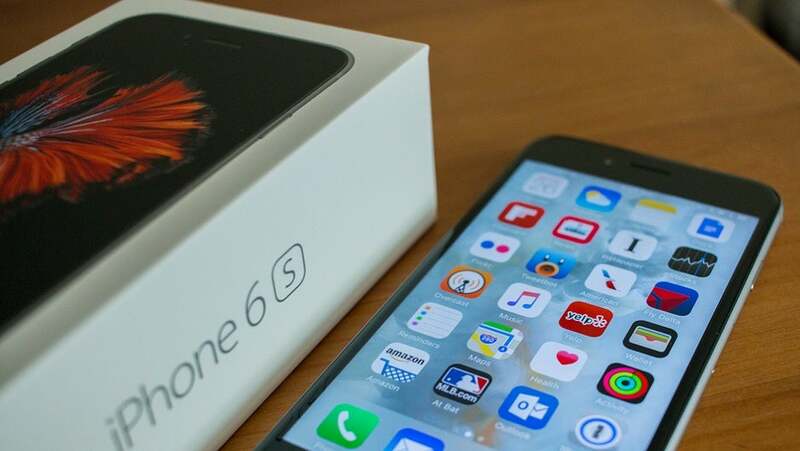 How Breakable Are the iPhone 6s and iPhone 6s Plus? The most devoted of Apple fanboys and fangirls have had their new iPhone 6s for over a week now, but the rest of us may still be deciding: to buy or not to buy? Apple announced the new iPhone 6s and iPhone 6s Plus on September 9, promising that everything has changed: 3D Touch, live photos, a better selfie. But are these phones durable? SquareTrade decided to subject them to its Breakability Test, complete with dunking in water, bending, heating and freezing, and repeated dropping (video below). Dunking: Both iPhones can be dunked under water for 10 seconds without immediate damage. Bending: The iPhone 6s Plus won’t bend until you apply 180 pounds of pressure (170 for the iPhone 6s). Dropping: You can drop both iPhones 10 times from six feet up, and the screen still won’t shatter – but one fall face down on concrete is enough to crack the glass. Heating: Both iPhones will last 15 minutes in 110 degrees before shutting off to protect the battery. 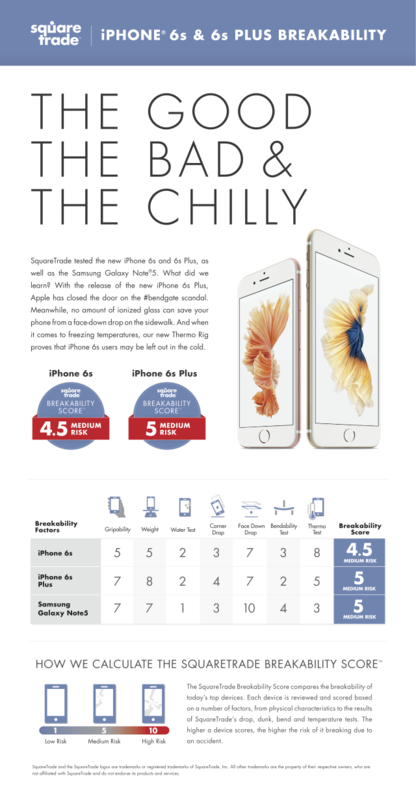 Freezing: The iPhones will last 30 minutes (6s) or an hour (6s Plus) in 0-degree weather before shutting off.